If you are excited about iOS 12 that will be officially available this fall (usually September), you can experience the pre-release version of the software now. Announced earlier this month at WWDC 2018 in San Jose, Apple has finally released the Public Beta version of the iOS 12 for all. If you are excited about iOS 12 that will be officially available this fall (usually September), you can experience the pre-release version of the software now. 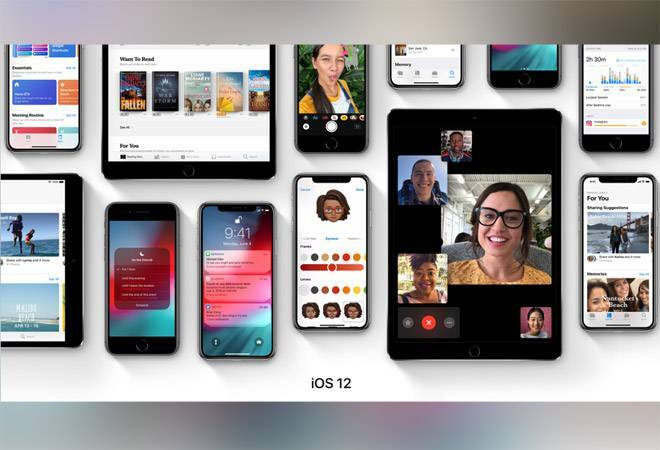 Announced earlier this month at WWDC 2018 in San Jose, Apple has finally released the Public Beta version of the iOS 12 for all. The idea of the pre-release or beta software is to let users familiarise themselves with the new software and at the same time help report bugs before the final software release. Unlike the final version of the software, pre-release software is mostly stable but might have bugs, a few features might not work properly and you might even end up messing your iPhone. But reports suggest the iOS 12 Public Beta is much stable than the previous generation beta version of the iOS software. However, it is still recommended to download the beta profile on a spare iOS device and not your primary iPhone or iPad. To download the iOS 12 Beta, you first need to download the beta profile from Apple's beta website. You will have to first join the public beta programme by using your Apple ID, follow the simple steps to download and configuring the beta profile. The beta profile is a small file that prepares your iOS device to receive the beta version of the software as and when released. Once the beta profile is installed, you need to reboot your device and head over to the software update tab within general settings of the phone. There you will see the iOS 12 Public Beta that you can install. Once the final version of the software is released, the iOS device will automatically install the software. iOS 12 will be available on a vast range of devices including iPhone X, iPhone 8, iPhone 8 Plus, iPhone 7, iPhone 7 Plus, iPhone 6s, iPhone 6s Plus, iPhone 6, iPhone 6 Plus, iPhone SE and iPhone 5s. This year's software is mainly focusing on fixing performance along with bringing in few new features. Performance improvement for older devices could mean a big improvement in launching apps, loading keyboard and typing text along with faster camera trigger. Some of the new features include shared augmented reality experience, group FaceTime, improved Photo search, Siri Shortcuts, grouped notifications, screen time, and more. Just in case you are not happy with the iOS 12 Public Beta, you can downgrade to iOS 11 anytime. Apple to manufacture iPhone 6s in India; but will it get cheaper?